After reading The Light Between Oceans a few months back, I was eager to read another novel about life in a lighthouse when I came across The Edge of the Earth. Unfortunately, the latter did not live up to the former. 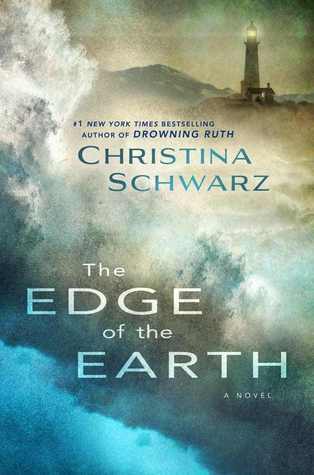 The Edge of the Earth tells of Trudy, a young, pampered woman from a well-to-do family in late nineteenth-century Wisconsin who wants to break free of the future laid out neatly ahead of her by her parents. Her future husband has been picked out for her, her future house, and even the flowers that will be planted in her future house’s garden. Trudy wants adventure; she wants to make her own decisions and experience a life well beyond the suffocating safety of convention. When Oskar, a cousin of Trudy’s intended husband, comes along, he quickly sweeps her off her feet with his disdain for convention and his appetite for adventure. Best of all, he sees in Trudy what nobody else seems to want to see: an ability to grab life by the horns and take it for a ride. Leaving everyone behind and disappointed in the rash choices Trudy has made, the young couple travel to distant Point Lucia, an isolated and desolate part of the California coast, to live and work as assistant Lighthouse Keepers. The Point Lucia Lighthouse is an actual lighthouse, though it is known as the Point Sur Lighthouse. Once settled in their new home, Trudy, not surprisingly, realizes that her new husband, whom she saw before as adventurous and unconventional, now seems to be exactly what she had been warned of: flighty, noncommittal, and full of harebrained ideas. Point Lucia seems to hold some dark secrets, and eventually Trudy begins a quest to unravel these mysteries. And thus, her real adventure begins. In all honesty, despite a promising premise, I found the story a little dry and boring. Although Trudy is painted as a restless young woman itching to make her way in the world, in actuality she comes off as spoiled and pampered and not someone who actually seems likely to break the chains of propriety. So I found her character to be somewhat unbelievable. The real action in the story doesn’t begin until about two-thirds of the way through the book; once I reached that point, it kept me turning pages, but it was a bit of a chore to reach that point. In the end, the author seemed in a hurry to wrap things up neatly, so all in all, I was left feeling unsatisfied.